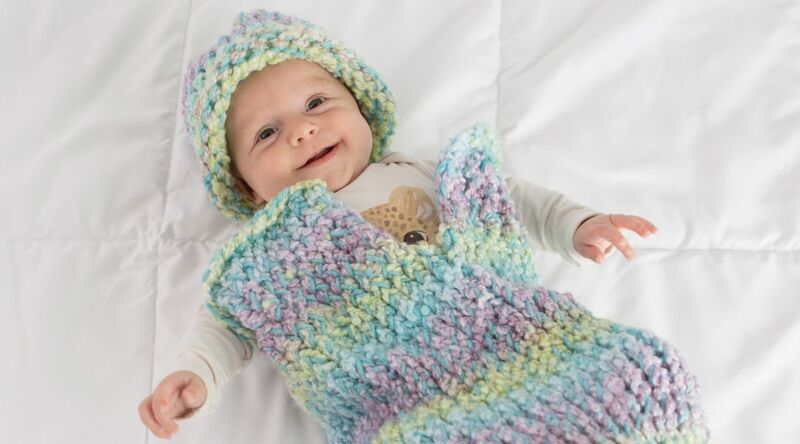 Create a sweet baby cocoon and matching hat for the baby in your life—no “knitting” required! Fiber artist Michele Muska shows you how to use a round loom to make both projects, and how to craft custom fabric simply by holding two different yarns together. Whether you’ve knit with a loom before or this is your first time, this is a simple, relaxing way to create beautiful gifts for your friends and family.